Clarke is a comfortable sofa bed for a daily use with an 18 cm or 14 cm high mattress and a shabby chic look. Single, XL single, double and king size. Clarke is a furniture item which combines aesthetics and functionality: a comfortable sofa bed for a daily use with a shabby chic style, proposed as 2 or 3-seater, or armchair, and with an 18 cm, 14 cm or 12 cm high mattress. 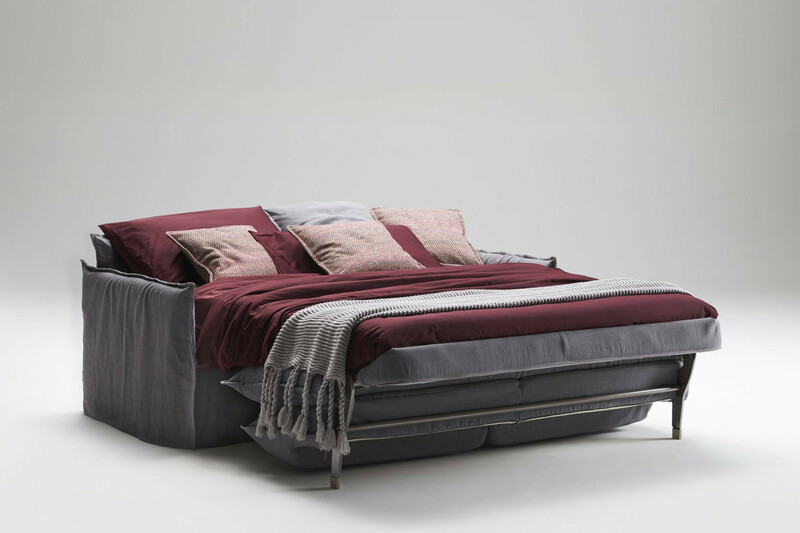 It can be transformed into a single, XL single, French double, double, or king size bed. The models with 18 cm high mattress are perfect for a daily use, to sleep on them all nights for a long period, at home or on vacation. 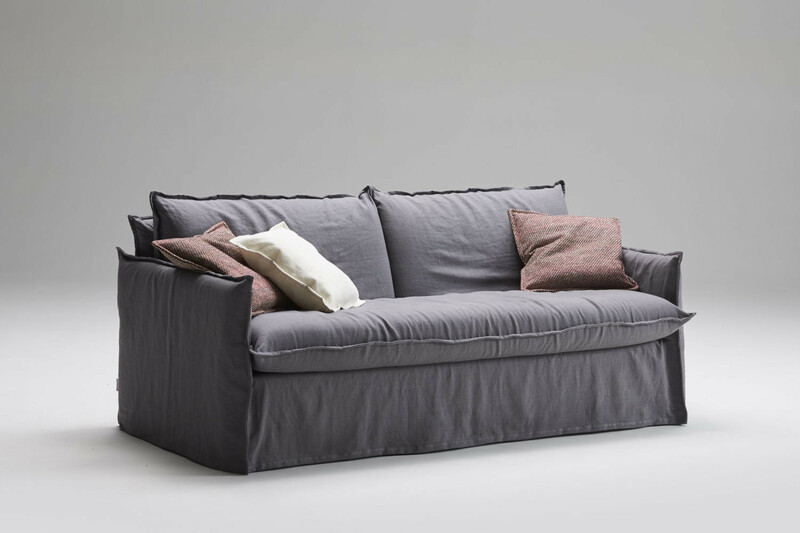 Clarke-18 and Clarke-14 are specifically designed to fit a twofold need: a furniture item with a well-finished design on one side, and an everyday sofa bed on the other. 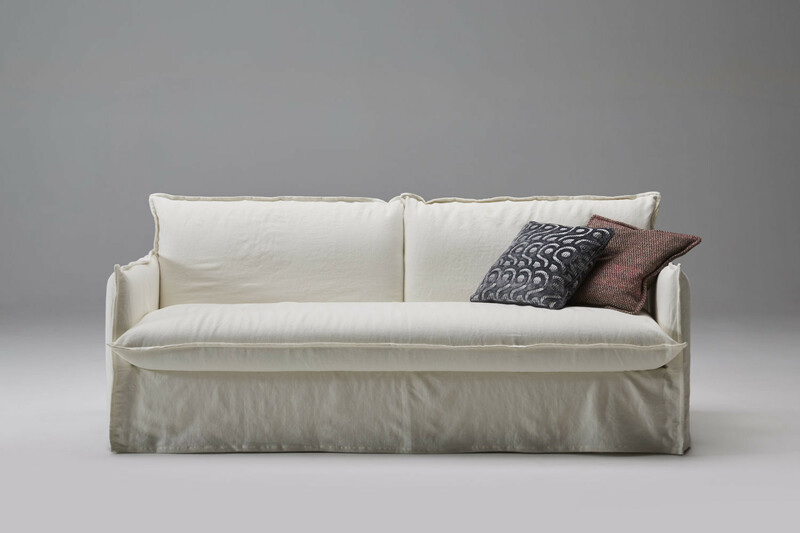 This sleeper sofa stands out for its informal look, with a lived-in and warm appearance. It is perfect for young environments, either sitting rooms or studio flats; a sofa inspired by shabby chic and country styles, with its cover characterised by a "creased" effect and a piping with pinched stitches. Every detail is designed to provide the best comfort and functionality: the seat consists in a one-piece cushion, perfect to relax during the day, while its slim armrests make it possible to save up space without reducing the seat width. The Lampolet mechanism allows to open and close the sofa in one movement, without having to remove any cushion at all. The mattresses, with a height of 16/18 cm or 14 cm depending on the model chosen, are available with biconical springs, independent pocket springs, polyurethane foam, memory foam, and latex. The 18 cm high ones can be comfortably used on a daily basis to have a nice rest. To improve the bed comfort even more, it is also possible to choose a slatted base, that is even available with self-adjusting supports which perfectly adapt to the body weight and shape. 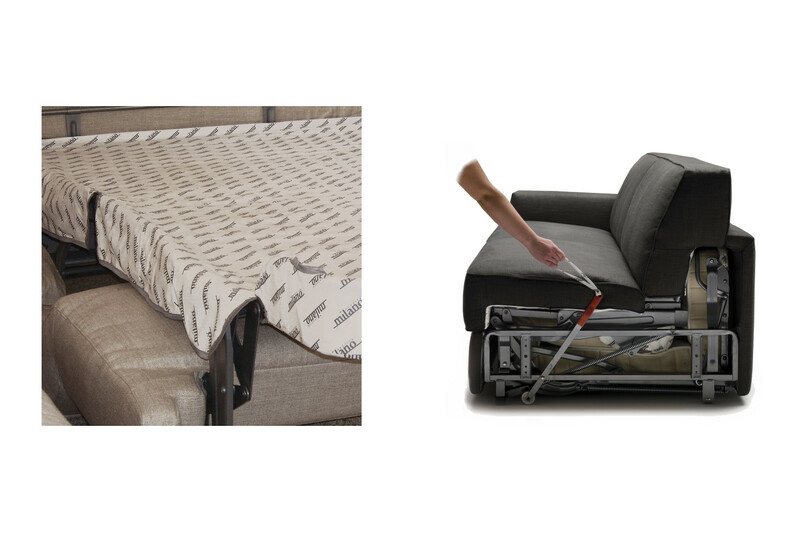 Armchair and sofa bed can be disassembled to easily move them, and their cover is completely removable. - Clarke-18 includes a Standard h.16/18 mattress with Super springs. In case you choose the slatted base with self-adjusting supports, the Standard mattress will be cm 14 high. Many other mattresses with pocket springs, in polyurethane, or memory foam are also available. 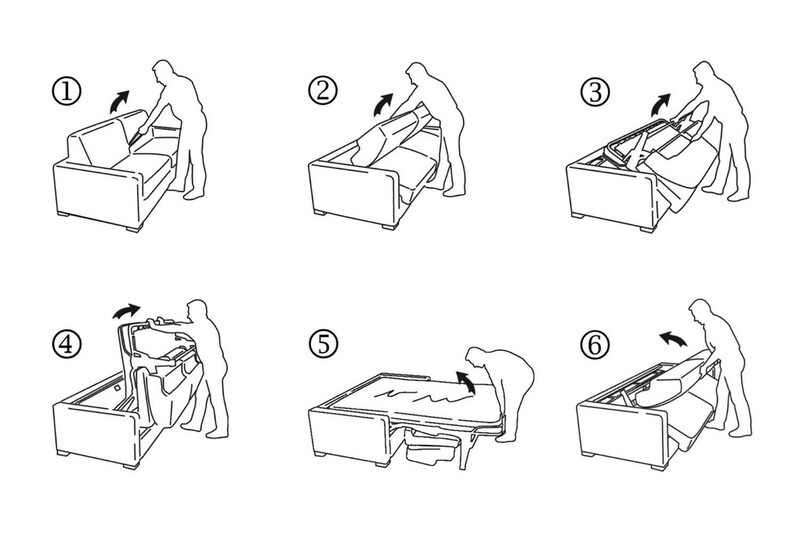 Click here to consult the Mattresses Guide and choose the one more suitable for you. 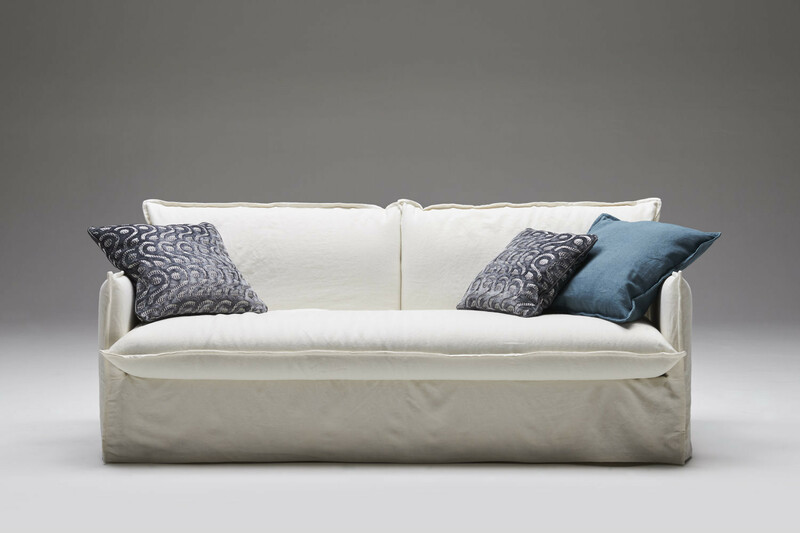 The sofa bed is available in fabric, eco-leather and leather, in a wide range of colours, all displayed in the samples page. Its cover can be removed and washed according to the specifics of each material. Mechanism: high resistance furniture tube, oven coated with epoxy powders. Bed base made of plastic coated electrically welded steel mesh, fixed to the structure with springs. Soft seat with elastic webbing or polypropylene fabric (only 180 measurement). Mechanism opening and closing in one time. 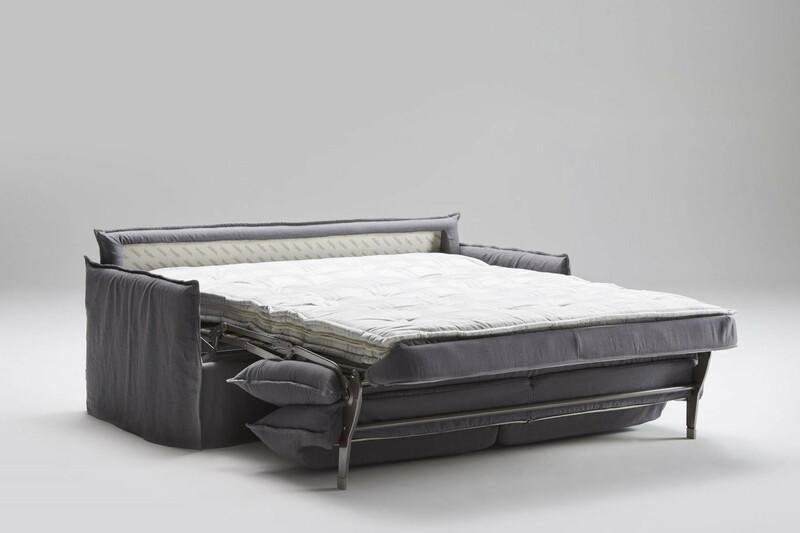 Clarke-14 standard mattress: “Bonnel” springing in tempered steel with a diameter of 2,20 mm; a 25 Kg/m³ expanded polyurethane layer on top and bottom;100% cotton fabric quilted with g 200/m² 100% PL resin fibre and nonwoven fabric; quilted side with aerators; tape edge. Clarke XL standard mattress: expanded polyurethane with 35 kg/m³ density covered with 100% cotton fabric, quilted on both sides with 100% polyester wadding 400 g/m³ and nonwoven fabric. Frame: backrest in high resistance furniture tube, oven coated with epoxy powders. Armrests and non-bearing front panel in particle wood. Headboard in particle wood, fir plywood, and solid fir wood. Seat: 35 kg/m3 expanded polyurethane, covered with 100% PL wadding combined with 280 gr/m2 interliner + 400 gr/m2 100% PL wadding and mm 2,5 quilted interliner. Backrest: 18 kg/m3 expanded polyurethane + 380 g/m2 100% PL needled fibre combined with interliner; mm 2,5 quilted interliner. Armrests, headboard, and non-bearing front panel: 30 kg/m3 expanded polyurethane, covered with interliner combined with 200 g/m² resin fibre, and mm 2,5 thick 3-layered interliner.